I found a new dataset about UK broadband speeds and I started analysing it in R. However, after cleaning the data, I thought that creating a dashboard with Shiny would take me too much time so I moved to Tableau. I wanted to keep my analyses in one place so I embedded the dashboard into the output html document (see below). Initially I thought that RMarkdown can’t generate embedded Tableau visualizations because the iframe in my report seemed blank after knitting the report. I had to open the generated in the browser to see the iframe filled with Tableau dashboard. RMarkdown file is available here. One of my latest tasks at work was to analyse data related to Brexit referendum results and the UK housing market. Luckily, all but rental data (acquired from Zoopla) was publicly available. Property prices and rental prices needed some wrangling as Land Registry doesn’t provide information about Local Authority districts, and that was the unit used by The Electoral Commission. LA districts are not a default geographic category in Tableau (version 9.3.5) but the official blog has recently featured a post demonstrating how to use non-standard mapping. The final result was a map (below) and a press release. This is another housing market analysis that gained a lot of media coverage, among others by International Business Times, Business Insider, and Mortgage Introducer. Once the data is visualised in this way it becomes rather obvious that the areas where house prices and the capital gains (yearly average, in the last six years) were the highest, were also the ones that were the most likely to vote remain. The situation is much more difficult to interpret when the the results are sorted by the rental yields. In that case the voting pattern is not that clear anymore. The scatter plots (and overlapping trend lines) make it easier to see the positive correlation between the percentage of people voting remain and the following variables: median house price (2016), median rental price (2016), and capital gains (yearly, across 2010-2016). This means that as the percentage of remain voters increases, so do the variables mentioned. This relationship did not hold for rental yields where it doesn’t seem to be any relationship between the two. The Guardian and BBC conducted similar analyses comparing voting patterns to demographic variables. Tableau Desktop 9.1 is out and Web Data Connectors are available as a new data source in this version. Luckily Tableau released several working connectors to popular web data sources and Google Sheets is one of them. Today I tried to connect to Google Sheets but I couldn’t find a step-by-step description of setting it up and the official thread lacked details about configuring WDC. It took me a while to figure out how to start using Web Data Connectors so I decided to write this tutorial which hopefully will help others to start using Web Connectors. 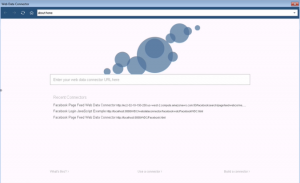 This tutorial describes how to use Tableau web connectors hosted locally. 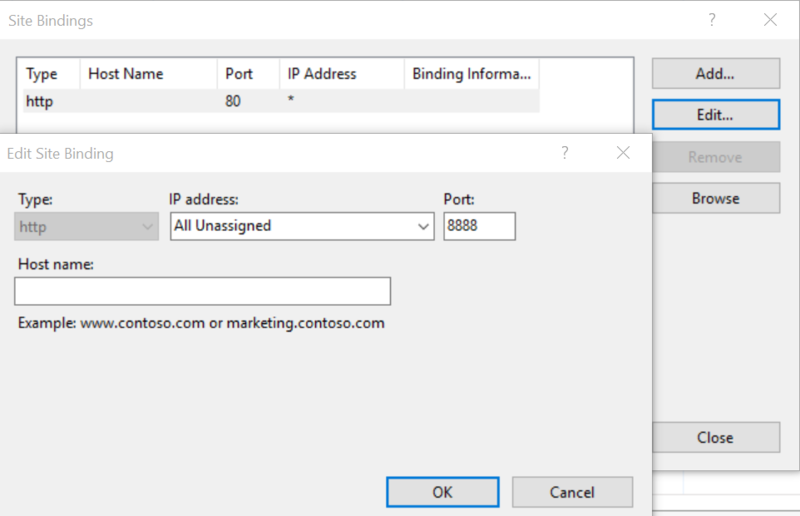 Before starting to use Web Data Connectors you need to activate Internet Information Services (IIS) Manager (more info available in this Stackoverflow thread). This can be done on Windows 10 by pressing Windows key and typing Windows Features. 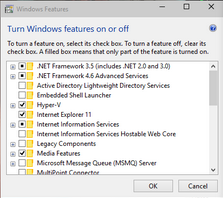 Then go to Turn Windows Features On or Off, and tick the box next to Internet Information Services. Now you should be able to see IIS in Control Panel > Administrative Tools. 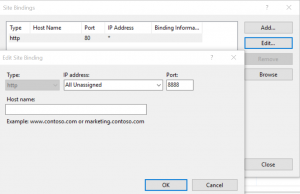 Open IIS Manager to check the values in Binding and Path columns. Binding should be set to *:8888 (http). Path points to a folder where the Tableau Connector files should be stored. 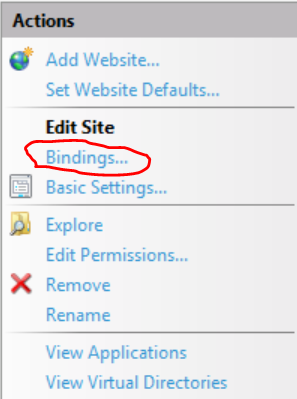 If Binding is set to a different value than 8888 (mine was set to 80 by default) then go to Actions on click on Bindings. Then change the Port number to 8888 and click OK. In order to start using Google Sheets as a data source you need to start with downloading the Web Data Connector SDK. Unzip the zip file and go to the Examples folder. All you need to do now is to provide a link to a Google Sheet you want to use. You might also need to log into your Google Account if a Sheet provided is private. Now you can start using Google Sheets as a data source. Hooray! If you need to use other connectors then just change the path in the Address bar of the pop-up window. I found an interesting data source on FigShare showing how much University College London paid for the Article Processing Charges. According to the description of this data set it should include items between 1st April 2013 and 31st July 2014. However, there are some entries that are dated earlier and later than that. I guess that only the previously mentioned period is complete. I included all data anyway and then I added a linear regression line on top of the plot showing total cost by date. Judging by that, it seems like the costs keep on increasing. However, it is just a short period of time and I don’t know whether this trend held for a longer period of time. Large journals (e.g. Nature Communications, PLOS One, and Lancet) stand out as taking more APCs than others. The vast majority of articles in this data set has been published with a CC BY licence. Feel free to further explore the plots. They are all interactive.